A growing number of health practitioners-as well as restaurants and celebrities such as Sting, Madonna, and Beyonce-are espousing raw food or "living food" diets as a way to stave off disease, boost energy, and lose weight. However, 100% raw diets are difficult to sustain and have come under fire recently for not being nutritionally optimal. 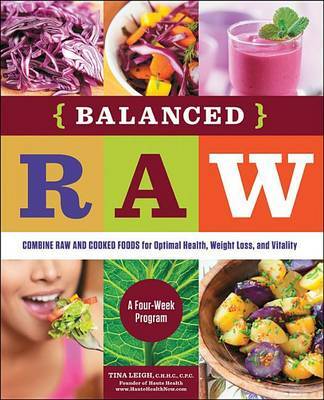 Balanced Raw eschews the all-or-nothing approach of other books and contains a 4-phase, 30-day plan for making the raw food lifestyle livable for life. Start your balanced raw lifestyle today!